Ravens offensive coordinator Greg Roman believes Jackson is gifted in terms of vision and instincts but still has work to do when it comes to passing fundamentals, Jamison Hensley of ESPN.com reports. "I think fundamentally is where [Jackson's] going to need to put most of his work," Roman said. "I think where to throw the ball and seeing guys open, I think those are things that he naturally has." Coach John Harbaugh said last week that Jackson will remain the Ravens' top signal-caller heading into the 2019 season, Jeff Zrebiec of The Athletic reports. "I know Joe [Flacco] is going to do really well. I mean, Lamar is our quarterback going forward -- no question about that," Harbaugh said. 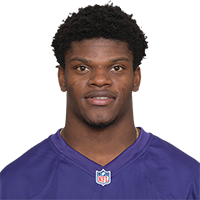 Jackson completed 14 of 29 passes for 194 yards with two touchdowns and one interception in the Ravens' 23-17 wild-card loss to the Chargers on Sunday. He also rushed nine times for 54 yards but had three fumbles, losing one. Jackson completed 14 of his 24 pass attempts for 179 yards with no touchdowns or interceptions in Sunday's 26-24 win over the Browns. He added 90 yards and two touchdowns on 20 carries. Jackson completed 12 of 22 pass attempts for 204 yards and a touchdown, adding 39 rushing yards on 13 carries in Saturday's 22-10 win over the Chargers. Jackson completed 14 of 23 passes for 131 yards with a touchdown and no interceptions in the Ravens' 20-12 win over the Buccaneers on Sunday. He also rushed 18 times for 95 yards and lost a fumble. Jackson (ankle) was a full participant at Wednesday's practice. Analysis: In addition to the good news about Jackson's ankle injury, coach John Harbaugh confirmed Wednesday morning that the rookie will continue to start at quarterback. Joe Flacco (hip) is expected to return for Sunday's game against Tampa Bay as the backup signal-caller, though it isn't out of the question he could play a few snaps, specifically in obvious passing situations. Jackson's ability to practice without any restrictions suggests the injury shouldn't hinder his mobility Sunday. Coach John Harbaugh confirmed that Jackson (ankle) would remain the team's starting quarterback Sunday against the Buccaneers, Jeff Zrebiec of The Athletic reports. Coach John Harbaugh suggested Jackson (ankle) could lose some snaps to Joe Flacco (hip), Jeff Zrebiec of The Athletic reports. "It stands to reason that if Joe's ready to go, he'll be part of the game plan," Harbaugh said Monday. "He's too good of a player not to be." Jackson (ankle) is on track for another start Week 15 against the Buccaneers, Jamison Hensley of ESPN.com reports. X-rays on Jackson's injured ankle conducted after Sunday's 27-24 overtime loss to the Chiefs returned negative, Adam Schefter of ESPN reports. The rookie believes he'll be ready to play Week 15 against the Buccaneers. When asked about an ankle injury he suffered late in Sunday's loss to the Chiefs, Jackson replied, "I'm good," Jeff Zrebiec of The Athletic reports. Analysis: The issue caused Jackson to miss the end of Baltimore's 27-24 loss Sunday, but it doesn't appear to be something that will affect his Week 15 availability. It remains to be seen, however, if his practice participation will be impacted at all. The Ravens' QB situation will thus be worth monitoring in the coming days, with the health of Joe Flacco (hip) improving. Robert Griffin finished up Sunday's 27-24 loss to the Chiefs after Jackson exited the game late in overtime with an unspecified injury. Analysis: Prior to being forced out of the game, Jackson completed 13 of 24 passes for 147 yards and two TDs and ran 13 times for 71 yards. His status will be worth monitoring in the coming days, especially with the health of fellow QB Joe Flacco (hip) improving. Jackson will remain the Ravens' starting quarterback for Sunday's game against the Chiefs, Jamison Hensley of ESPN.com reports. Jackson (hip) is expected to receive another start Sunday in Kansas City, Jamison Hensley of ESPN.com reports. Coach John Harbaugh said he hasn't made a decision on the quarterback position going forward, even though Jackson has done enough to keep the starting job, Jeff Zrebiec of The Athletic reports. Jackson completed 12 of 21 passes for 125 yards and added 75 yards and a touchdown on 17 carries during Sunday's 26-16 win over Atlanta. He lost a fumble during the contest. Jackson passed all concussion tests after exiting in the third quarter and returned to Sunday's game against the Falcons, Jeff Zrebiec of The Athletic reports. 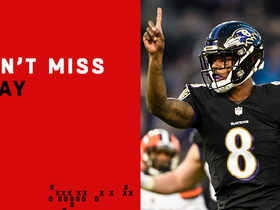 Analysis: Jackson missed one drive while being evaluated for a head injury but returned for Baltimore's subsequent offensive possession, which culminated in a 47-yard field goal from Justin Tucker. Jackson was forced out of Sunday's game against the Falcons with a suspected concussion, Jeff Zrebiec of The Athletic reports. Analysis: With Joe Flacco (hip) inactive Sunday, Robert Griffin will take over at QB for the Ravens in Jackson's absence. Jackson will remain the Ravens' starting quarterback for Sunday's game in Atlanta with Joe Flacco (hip) listed as doubtful for the contest, Jamison Hensley of ESPN.com reports. Jackson is slated to start Sunday's game in Atlanta, Mike Garafolo of NFL Network reports. Analysis: On Monday, coach John Harbaugh suggested Jackson might split snaps with longtime starter Joe Flacco once the latter is cleared to play, per Jamison Hensley of ESPN.com. However, Flacco has yet to gain clearance, so Jackson will remain the Ravens' primary signal-caller Week 13, which presents a matchup with a Falcons defense that ranks 26th against the pass (273 yards per game) and has allowed opposing quarterbacks to rack up 205 yards and three touchdowns on the ground in 11 games. Coach John Harbaugh said Monday that Jackson and Joe Flacco (hip) may both have significant roles once the latter is cleared to play, Jamison Hensley of ESPN.com reports. Coach John Harbaugh doesn't intend to announce his decision between Jackson or Joe Flacco (hip) as the starting quarterback for Week 13 in Atlanta, ESPN.com's Jamison Hensley reports. "Whether the decision has been made or not, it's not important for anybody to know but us," Harbaugh said after Sunday's 34-17 win over the Raiders. "If I decide to do it one way or another, I don't want our opponent to know. So, I'm probably not going to announce it for obvious reasons." Jackson completed 14 of 25 passes for 178 yards, a touchdown and two interceptions during Sunday's 34-17 win over the Raiders. He added 71 yards and a touchdown on 11 carries and fumbled a ball that was recovered by the offense. Jackson will make another start Sunday against the Raiders, Jamison Hensley of ESPN.com reports. Analysis: With Joe Flacco (hip) still absent from practice and officially ruled out, Jackson will take aim at a defense ranked 32nd in yards allowed per pass attempt (8.9) and 26th in yards allowed per carry (4.8). The rookie has stated his desire to do more as a passer, but the Ravens may be just fine relying on their running game for a second straight week. Jackson had more carries (26) than pass attempts (19) in last week's 24-21 win over Cincinnati. Jackson is in line to start Sunday against the Raiders, according to Jamison Hensley of ESPN.com. Analysis: Fellow quarterback Joe Flacco (hip) almost certainly will not play in Week 12 after sitting out practice all week, which puts Jackson on track to start for the second straight week. 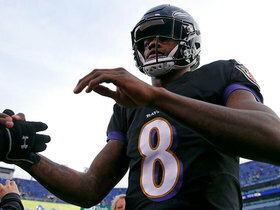 Jackson appears to be the leading candidate to start Sunday's game against the Raiders after Joe Flacco (hip) failed to practice Wednesday, Jamison Hensley of ESPN.com reports. Jackson completed 13 of 19 passes for 150 yards and an interception during Sunday's 24-21 win over Cincinnati and added 117 yards on 27 carries. Jackson will receive the starting assignment for Sunday's game against the Bengals and is expected to take the bulk of the snaps behind center, Ian Rapoport of NFL Network reports. The Ravens haven't officially revealed their plans at quarterback for Sunday's game against the Bengals, but Jackson is expected to start and his teammates anticipate that he'll play the majority of the snaps, Tom Pelissero and Ian Rapoport of NFL Network report. Jackson is expected to make his first NFL start Sunday against the Bengals with Joe Flacco (hip) listed as doubtful and unlikely to be available, Adam Schefter of ESPN reports. Jackson (illness) is in line to make his first career start Sunday against the Bengals, Jason La Canfora of CBS Sports reports. Jackson (illness) participated in Friday's practice. Analysis: Jackson sat out Thursday due to a stomach issue, but he was feeling good enough to return to the field just one day later. That leaves the door open for the rookie to start Sunday against the Bengals if fellow quarterback Joe Flacco (hip) is unable to go. More details regarding the Ravens' quarterback situation for Week 11 should emerge when the team releases its final injury report of the week later Friday. A stomach issue caused Jackson to miss Thursday's practice, Adam Schefter of ESPN reports. Analysis: With Joe Flacco (hip) also not practicing, Robert Griffin III was the only Baltimore signal-caller taking reps Thursday. We'll look for added clarity with regard to the team's Week 11 QB situation no later than Friday, but Baltimore's coaching staff has already noted that Flacco does not necessarily need to practice this week in order to start Sunday's 1:00 PM ET game against the Bengals. Jackson and Robert Griffin will both be candidates to start if Joe Flacco (hip) isn't available for Sunday's game against the Bengals, Tom Pelissero of NFL.com reports. 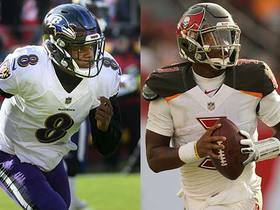 Jackson may take over the starting job for Week 11 against Cincinnati while fellow quarterback Joe Flacco recovers from a hip injury, Jason La Canfora of CBS Sports reports. Coach John Harbaugh suggested he isn't yet thinking about starting Jackson over Joe Flacco, though Harbaugh did say he still views the rookie as a quarterback in the long run, Jamison Hensley of ESPN.com reports. Jackson completed his lone pass attempt for 12 yards and added five carries for 10 yards Sunday against the Steelers. Jackson completed four of five passes for 46 yards and a touchdown against the Panthers and added three rushes for 26 yards. Jackson ran for nine yards and a touchdown on three attempts and added a 5-yard completion during Sunday's 24-23 loss to the Saints. Analysis: Jackson gave the Ravens the lead just seconds before halftime, faking the handoff to Alex Collins and then cutting up field for a 1-yard touchdown run. Jackson also completed his first pass since Week 1 on Sunday. This kind of performance obviously doesn't make Jackson relevant yet for fantasy purposes, but it does add another interesting wrinkle to the Ravens offense. A matchup against a stout Panthers defense awaits next Sunday. Jackson played two offensive snaps Sunday and took one carry for 22 yards against the Titans. Analysis: It was a season-low snap count total for the rookie, but he still managed to impress with a season-long run of 22 yards. Jackson's run showed vision and patience in letting the play develop and he came up just shy of notching his first rushing touchdown. Joe Flacco's strong play to start the season has squashed any notion of Jackson supplanting him as the starter this year, so it seems Jackson will have a limited and highly specialized role for the time being. Jackson completed one of four passes for 24 yards Sunday against the Bills and added seven carries for 39 yards. According to Ian Rapoport of NFL Network, Jackson is "expected to be active" Sunday against the Bills. Ravens head coach John Harbaugh hasn't revealed whether Jackson or Robert Griffin is the primary backup to starting quarterback Joe Flacco, Jamison Hensley of ESPN.com reports. Jackson will enter the season as Baltimore's No. 3 quarterback behind Joe Flacco and Robert Griffin, Tom Pelissero of NFL.com reports. Analysis: Jackson had three rushing TDs during the preseason and improved as a passer the last two weeks, but it seems the Ravens are more comfortable entering the season with a veteran backup. This may also end the discussion about gadget plays involving Jackson, as teams usually don't keep their No. 3 QB active on game days. It still isn't totally out of the question for Jackson to make starts during his rookie season, especially if the Ravens fall out of playoff contention. Jackson completed nine of 15 passes for 109 yards and took three carries for 25 yards and a touchdown in Thursday's preseason finale against Washington. Jackson completed seven of 10 passes for 98 yards with a touchdown and no interceptions in the Ravens' 27-10 preseason win over the Dolphins on Saturday. He also rushed three times for 39 yards and another score. 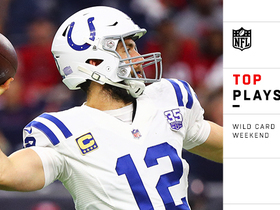 Jackson completed seven of 15 attempts for 49 yards and a touchdown while playing six series in Monday night's 20-19 win over the Colts in the third preseason game. He also rushed four times for 26 yards. Analysis: Jackson continues to be a work in progress from inside the pocket, particularly on throws outside the numbers. While he again completed less than half of his attempts, Jackson did find Chris Moore for a seven-yard touchdown on a rollout pass. As expected, he also offered some sizzle running the ball when nothing else was open. Overall, Jackson still looks pretty raw as a passer, but maintains a knack for making plays outside of the pocket. Jackson completed seven of 18 passes for 119 yards, adding five carries for 21 yards and a touchdown, in Thursday's 33-7 preseason win over the Rams. Jackson completed four of 10 passes for 33 yards, one touchdown and one interception during Thursday's Hall of Fame game against the Bears. He added 24 rushing yards on four carries. Jackson took all the quarterback reps on the final day of minicamp, ESPN.com's Jamison Hensley reports. 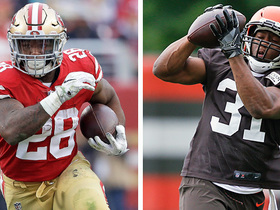 Analysis: The Ravens have been working on special packages to take advantage of Jackson's rushing ability, and they also want him to gain some level of comfort with running the entire offense. Coach John Harbaugh seems committed to Joe Flacco as the Week 1 starter, but the 33-year-old will be on a much shorter leash than in past seasons. Jackson figures to compete with Robert Griffin for the No. 2 quarterback job when Ravens training camp opens July 19. 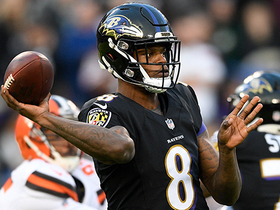 NFL Network's Reggie Bush and Willie McGinest discuss what trading away quarterback Joe Flacco means for Baltimore Ravens QB Lamar Jackson moving forward. 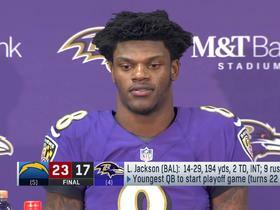 Baltimore Ravens rookie quarterback Lamar Jackson talks about the Baltimore Ravens Wild Card loss to the Chargers. 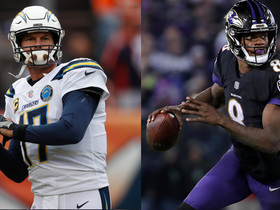 NFL Network's Maurice Jones-Drew and Elliot Harrison discuss if they would rather have Los Angeles Chargers QB Philip Rivers or Baltimore Ravens QB Lamar Jackson during Wild Card Weekend. The "Good Morning Football" crew and former quarterback Carson Palmer discuss which quarterback has the most to prove in Wild Card Weekend. 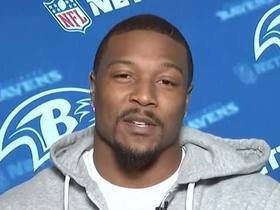 Baltimore Ravens safety Tony Jefferson explains why he's glad quarterback Lamar Jackson is on his team ahead of the Ravens' playoff matchup with the Los Angeles Chargers. 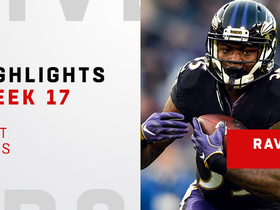 Watch the best runs from the Baltimore Ravens as they tacked up 296 yards on the ground in their Week 17 win against the Cleveland Browns.